Usually, confidential informants are supposed to remain…well…confidential. Police departments and federal agencies use confidential informants in order to get information on criminal activities. Tips from confidential informants have led to murder convictions, racketeering convictions, and drug running convictions. However, one of the principals of confidential informants is that they keep their activities secret and don’t discuss any of their business in public. Recently in Las Vegas, two confidential informants didn’t stay confidential. These two bozos could have potentially damaged the cases they were working on, instead they left the city with some interesting stories. There were two men gambling in the high roller’s room had minders with them. In between eating platefuls of Kobe steak and sole, they regaled anyone who would listen with tales of concealing kilos of cocaine and assault rifles in airplane luggage. They spoke of SWAT raids on criminal gangs, and running from the law. Apparently, the two men had infiltrated criminal drug trafficking gangs. While their work should require discretion and secrecy, these two men weren’t discreet or secretive. One of the men said he was involved in a 2017 FBI sting operation that brought down a drug trafficking gang who were also into bomb-making in order to dispatch a particular drug lord in Mexico. The other informant was discussing his role in bringing down drug traffickers, and getting thousands of dollars from the FBI for “moving expenses”. He regaled the other blackjack and poker players with tales of midnight raids and helping to arrest hundreds of criminals in the process. The man also discussed seeing hundreds of pounds of cocaine and methamphetamine packaged to cross the border. While the expression “What Happens in Vegas Stays in Vegas” may be true in some cases, the sheer volume of stories about two men who were gambling and talking was a bit much to keep quiet. This presents a problem for the federal prosecutors who are trying to get the criminals convicted and jailed. Confidential informants must keep their exploits secret in order to get people prosecuted successfully. However, prosecutors are in a quandary with regard to confidential informants. They need confidential informants, many times to make their cases against people who have committed horrible crimes. However, when prosecutors have to rely on unreliable people, their cases can get compromised. For example, one of the men who was telling stories in the casino high-roller room recently readily admitted to beginning his career as a drug dealer and a drug trafficker. He also admitted to being an informant of the FBI for over 20 years. Gambling and confidential informants are not as rare as it would be hoped. In fact, dealers in the high roller rooms have said the two recent interlopers are not the first people to walk into a high roller room and discuss their exploits. Often, the dealers merely look at the men (and women) as vibrant storytellers, and don’t take them seriously. The dealers say that crazy stories come with the high rolling territory. However, prosecutors are not so forgiving. 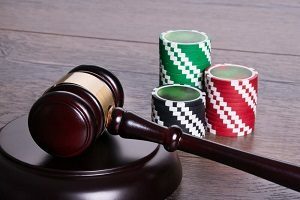 They worry that all of the talking during gambling can compromise their cases. This often results in millions of dollars spent with nothing to show for it. If cases aren’t made and prosecuted, all of their effort is wasted. However, prosecutors are also the first ones to admit they can’t make confidential informants stay confidential—that is up to the informants themselves. Some appear to be chattier than others.